How Does Protein Affect Blood Sugar in Diabetics? What Does Consuming Too Much Protein Do to Your Body? High-protein diets appeal to athletes, bodybuilders, dieters and others. Based on the theory that eating more protein while limiting carbohydrates forces the body to burn fat, high-protein diets facilitate quick weight loss, but opinions vary about their long-term safety and results. How well the body tolerates extra protein depends, at least in part, on the individual's overall health and the specific foods permitted on the plan. Protein, a component of every cell, organ and tissue in the body, must be replenished on a daily basis. A healthy adult needs an average of 50 grams per day, a goal that can easily be met by eating a balanced diet that includes meat, fish, poultry, eggs, beans, legumes and dairy products, according to the Centers for Disease Control and Prevention. Gastric bypass patients, on the other hand, need between 60 and 80 grams of protein per day for the rest of their lives to prevent the loss of hair and lean muscle mass, so this group must continue to eat a low-fat, high-protein diet and take vitamin and mineral supplements for long-term success, according to an article published in the September 2008 issue of "Surgery for Obesity and Related Diseases." 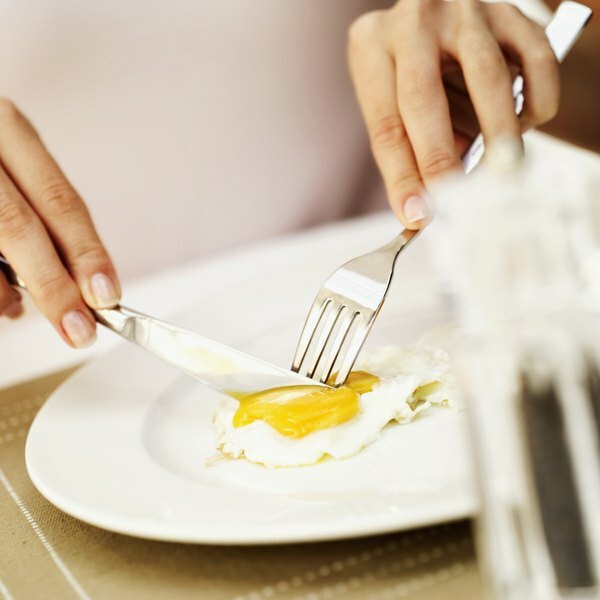 High-protein diets, including Atkins, Protein Power, Stillman, Zone and Sugar Busters diets, instruct dieters to eat liberal amounts of meat, fish, poultry, eggs and dairy products while limiting carbohydrates. Some plans allow grains, fruits and vegetables, while others include only non-starchy vegetables and protein sources. Some plans emphasize low-fat proteins, while others allow fatty meats, such as sausage and bacon. According to the CDC, most people eat more protein than they need without harmful effects. However, people with certain chronic diseases such as diabetes, liver disease or kidney disease may need to limit protein to prevent damage to their organ functions. Eating a high-protein diet increases the amount of waste products that must be filtered by the liver and kidneys. Patients with chronic diseases, as well as pregnant women and nursing mothers, should consult their health-care providers before increasing their protein intake. According to the National Institutes of Health, the only people that may truly benefit from protein shakes are those who can not get adequate protein in their diet, such as the elderly who may have a hard time consuming meat or those with medical conditions that make eating difficult. For anyone else, consuming more protein than the body needs will increase calorie intake, contributing to weight gain, whether the increased intake comes from fat, carbohydrates or protein. Taking in 500 extra calories every day, regardless of the source, causes a 1-pound weight gain over a period of a week, exactly the opposite of the dieter's intent. National Institute of Health: News in Health: How Much Protein Do You Need? Can Teenagers Take Protein Powder?